Every day the value of your home fluctuates due to a number of factors not always under your control. If you want to maximize the value of your home regardless of your situation, then you should seriously consider investing in new home technology. Along with improving the overall quality of your life, replacing your old and outdated windows can improve the value of your home for years to come. In particular, vinyl windows have come a long way as advancements in the underlying technology allow for less expensive, higher quality vinyl windows. Lets take a moment to review the benefits vinyl windows have over their traditional cousins and look at a local company that will provide the highest quality vinyl windows and installation services out there. Vinyl windows are the windows of the future. First, they have incredible insulating properties that can dramatically decrease the amount you spend yearly on energy. In addition, having vinyl windows eliminates the risk of condensation from forming as well as termite damage. With a low E coated glass filled with argon gas, the vinyl windows are incredible for noise reduction. In addition, the easy tilt-in cleaning as well as the child resistant safety locks make them practical and affordable. If you are looking for vinyl window replacement, Downers Grove IL residents have a suggestion for you. 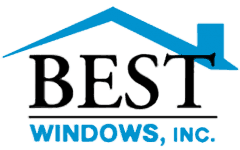 With countless years building an excellent relationship with the community, Best Windows Inc. can help you with all of your window and patio door needs. Emphasizing customer service, quality service, the best products, the best warranty, and the fastest delivery as core parts of our business model, we have ben lucky enough to receive recognition from our community, including the Angies Super Service Award for the past four years and the Kensington High Performance Windows Dealer of the Month. While the above awards speak to our continuing level of excellence, we understand that we would be no where if not for the continuing support of the community we serve. That is why we work to make every installation its own unique job, working with you every step of the way to ensure that when we leave, you are fully satisfied. If you are interested in learning more, please give us a call at (708) 204-2446 or fill out a form on our website where we will be able to get back to you via e-mail. 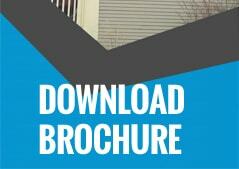 You may also visit our website Best Windows for more information about vinyl window replacement Downers Grove IL.